John Turner, an ex-soldier, ex-Memphis cop, ex-con, and former therapist, has retreated into rural Tennessee where he has been persuaded to work as a deputy sheriff. His life has found a contented rhythm with his new partner, Val Bjorn, a local legal counsel. However, that is about to change after Don Lee, the acting sheriff, arrests a man from Memphis for speeding and threatening behaviour. In the trunk of the car is a nylon sports bag containing 200,000 dollars. Shortly after, the man is sprung from the police station, Don Lee brutally assaulted and left in coma. Seeking justice, Turner heads to the city, a place that still haunts him, where he violently confronts the gang responsible, but rather than securing closure he opens up a slow burning feud that threatens his new life. 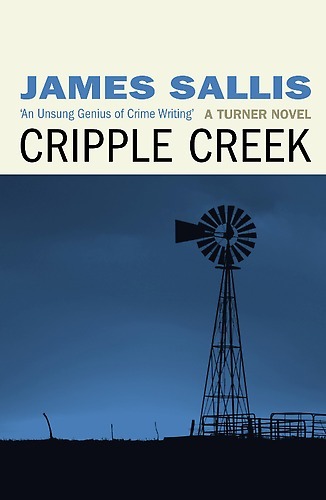 Cripple Creek is the second book in the John Turner trilogy and although best read in sequence can be read as a standalone. The three standout qualities of Sallis writing, in general, and which are all evident in this story, are his prose, his characterisation, and his atmospherics. Sallis is a poet and his storytelling has a wonderful cadence, his style is all tell and no show. The reader is dropped into Turner’s world of rural America and its inhabitants, its sense of place and social life. 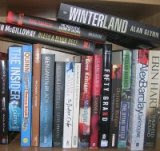 Sallis has a keen eye for the human condition and the ways in which life unfolds. He paints a picture of Turner as an enigmatic man who cyclically creates moments of contentment that unravel through his own follies; a man reflexive of his own propensity to reinvent and self-destruct almost without effort. It’s a compelling mix. On the other hand, the plot seems merely a vehicle for these explorations, and whilst interesting has gaping holes in it, especially with respect to police procedures: Turner is seemingly inured against the legal consequences of his actions and in Cripple Creek manages to kill a couple of people without anyone else batting an eyelid or even filling out a form. If the plot was as skilfully composed as the rest of the tale, the book would be a knockout. As it is, it’s somewhat of a flawed diamond.